A car bomb at a popular car dealership has killed 13 people and injured 52 in eastern Baghdad’s volatile Sadr City neighbourhood, two days after a market bombing killed dozens. The Habibiya car dealership, widely-known for buying and selling used vehicles, has been targeted several times in the past. The Islamic State (IS) group claimed responsibility for the bombing in a communique distributed via affiliated Twitter accounts, saying the vehicle targeted a large gathering of the Iraqi army, national police and government-backed Popular Mobilisation Forces. A massive explosion in a Sadr City market on Thursday killed at least 67 people and wounded more than 100. The bombing, claimed by IS, was one of the worst single-day attacks in Baghdad in a decade. 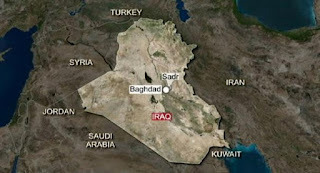 Elsewhere in and around the Iraqi capital, a series of bombings killed at least nine people and wounded 33. The largest took place in the town of Madain, just south of Baghdad, when a bomb tore through a popular market killing three people and wounding 10. In the town of Taji, north of Baghdad, a bomb hit a row of car repair shops, killing two people and injuring eight. In Baghdad’s al-Askan district, an improvised explosive device detonated on a busy commercial street, killing at least two people and wounding eight. And in Baghdad’s south-eastern suburb of Jisr Diyala, police said two were killed and seven wounded when a bomb exploded on a commercial street.